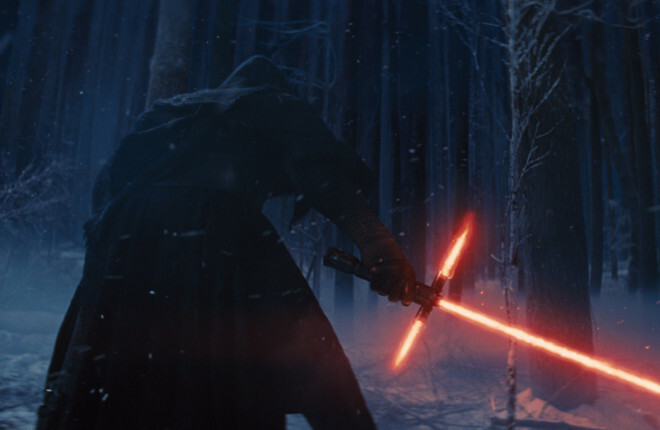 Soapbox: Will The Force Awakens be more than just Star Wars Greatest Hits? I have a confession to make about this latest article in The Pop Culture Studio’s Star Wars series: it was inspired by a “Hitler Reacts To…” meme. In it, the Fuhrer expresses a less than glowing appraisal of the latest trailer for Star Wars – Episode VII: The Force Awakens, and in amongst the lunatic ravings is buried one very strong argument, one that I couldn’t help agreeing with: everything great about the trailer is rooted in copying the original films in the series. Don’t get me wrong – I’m incredibly excited to see The Force Awakens. It’s hard not to be, especially after watching the trailers, where we’ve been treated to lightsabers, stormtroopers, Han and Chewie, and the Millennium FREAKING Falcon, all set to a John Williams score. But you know what else got me excited, a long time ago (in cinema far, far away…or Australia at least)? Although I’m fairly moderate in my views on the Star Wars prequel trilogy compared to the more virulent of online critics, I can’t say that any of them lived up to the hype built by their respective trailers, so my point is, when it comes to the Star Wars franchise, my excitement is tempered by a degree of rational scepticism. It follows then that as much as I’m looking forward to the new movie, I can’t escape the feeling that I’m going to be let down again, and in this case, I think it won’t be because The Force Awakens deviates too much from what I loved about the original Star Wars trilogy (which was one of many issues with the prequels) but more that it will be too the same. And it really does all look a bit too familiar. There’s a striking desert landscape that I’m told isn’t Luke Skywalker’s home planet but which looks exactly the same, there are Tie-Fighters dogfighting the Falcon inside the bowels of a huge structure just like the end of Return of the Jedi…heck, even Darth Vader’s burnt out helmet makes an appearance! I have to say, these things wouldn’t bother me so much, if it weren’t for who was in the director’s chair. J.J. Abrams is a talented storyteller, and I’ve enjoyed a lot of his work, but if he has a weakness, it’s that he tends to recreate in his own films what he loves about the films of others, rather than using that inspiration as a jumping off point to develop something new and wholly unique. Take a look across his films, and whether it’s his recent Star Trek reboot and its sequel (which provided a much needed shot of adrenaline to that franchise, but didn’t bring anything new to the sandbox) or original features like Super 8 (a delightful film that owes everything about it to vintage Spielberg), you’ll notice that Abrams modus operandi is often to update and rework existing concepts, rather than dreaming up new ideas of his own. For the new Star Wars trilogy to truly soar, it will need more than just flashy new types of lightsaber and even cooler astro droids. The real reason the original three movies were able to launch a pop culture phenomenon that’s lasted nearly 40 years was because they didn’t ape exactly what had come before. For all that creator George Lucas drew on matinee serials, Kurosawa films, classic mythology, 1950s westerns and more to build his fictional universe, he used it all to make something totally new, and crucially, he imbued his new creation with a sense of wonder. From the first frame of Star Wars – Episode IV: A New Hope, Lucas astounded viewers with sights they’d never seen before, constantly amazing them with new spaceships, creatures and worlds, and it’s this feeling that Abrams will have to recapture if he’s truly going to succeed. So what I’m really hoping for come opening day of The Force Awakens in December is that we get more than just a slight tweak of what we liked about the original trilogy and everything we didn’t hate about the prequels. I’ve got my fingers crossed that Abrams has more in store for us; that he’ll use familiar characters, settings and other iconic elements to reacquaint us all with this world we love so much, before launching off in a new direction so that we can meet new friends and enemies of all different species, explore unimaginable new planets and thrill to inventive new set pieces. Ultimately, it seems that for The Force Awakens to be a truly satisfying film on its own merit, it needs to take a leaf out of the book of that other space franchise revived by Abrams, and go boldly where no Star Wars film has gone before! So what do you think? Is The Force Awakens in danger of being too similar to the original Star Wars trilogy? And is that a bad thing? Let me know in the comments below or on Twitter or Facebook!